Tim, probably the most handsome of the bunch 😉 he can lighten anybody's day. His passions are family, business and God. Being the epitome of man He's loved by all, but this testimonial may be somewhat bias! 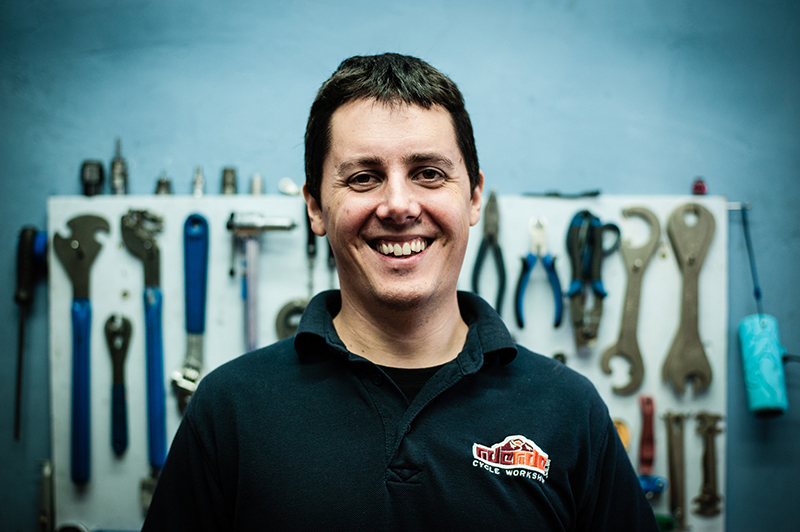 Mike is the lube that keeps the rideride machine rolling, he is a skilled problem solver and the patience of a saint. His passions include drumming, Jesus, his beautiful wife and two gorgeous children. 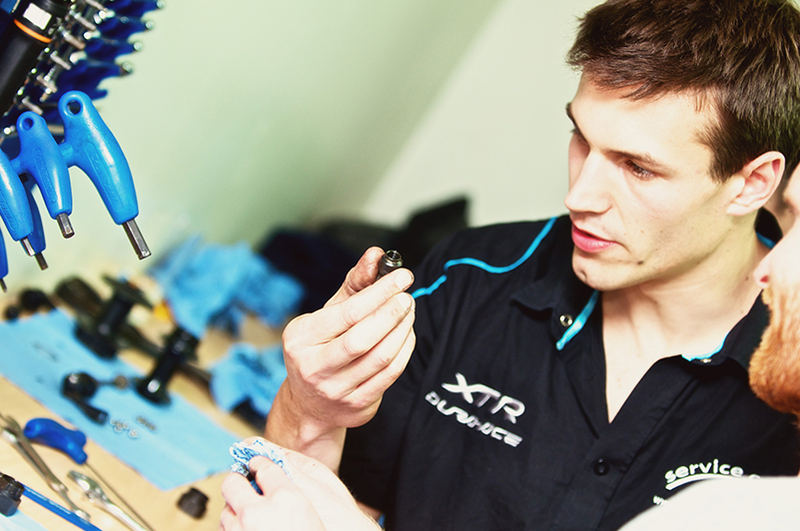 He’ll diagnose your bike before you tell him the symptoms and ensures the highest standards for every repair that leaves the shop. Tom has a fearless desire to master most things that move and the scars to prove it. His passions include skiing, skating and downhill riding. 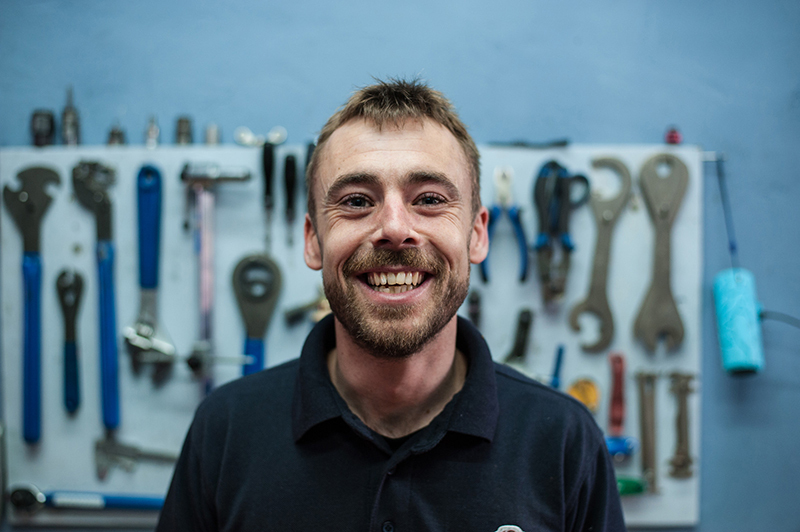 He has an infectious smile and will make you feel right at home on one of the many maintenance courses he teaches. 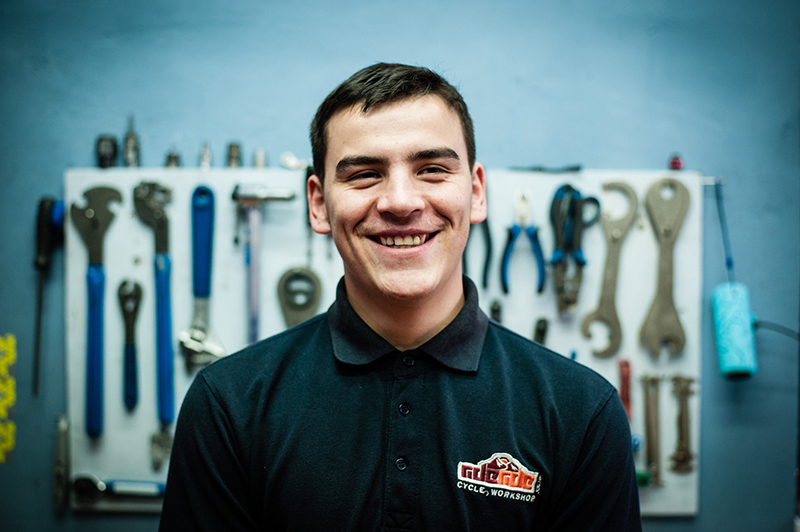 Louie was our young apprentice but has become a man before our very eyes. His passions are Ice tea, cars and riding BMX. He’ll give you advice beyond his years and will even laugh at your jokes. Ionut is our token eastern European, who likes to pretend that his English isn’t any good! His passions are his family, garlic and cars. He is relentless at his work, a man who gets the job done. 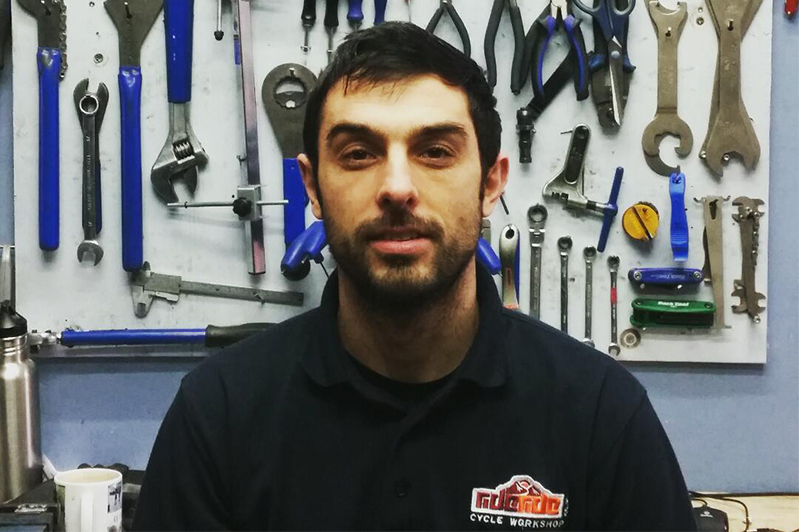 Book your bike repair with this beautiful team now.